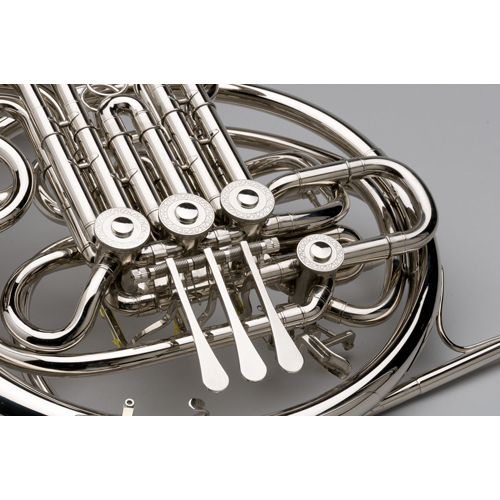 The Tempest Double Horn is a tribute to the great horn masters of Germany. 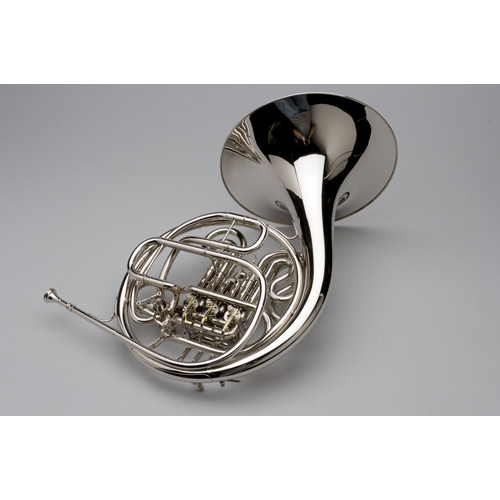 The Tempest Double Horn is a tribute to the great horn masters of Germany. 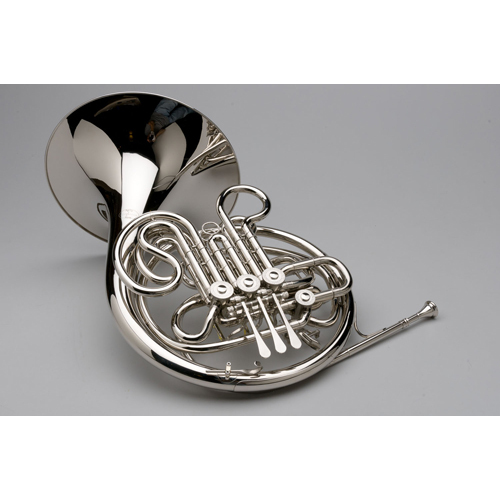 This Double F/Bb model has a stunning sound and easy playing characteristics will astonish the player and the audience. This Agility Winds Series Horn features multi port precision rotary valves, eliminating much of the turbulence found in standard rotary design. 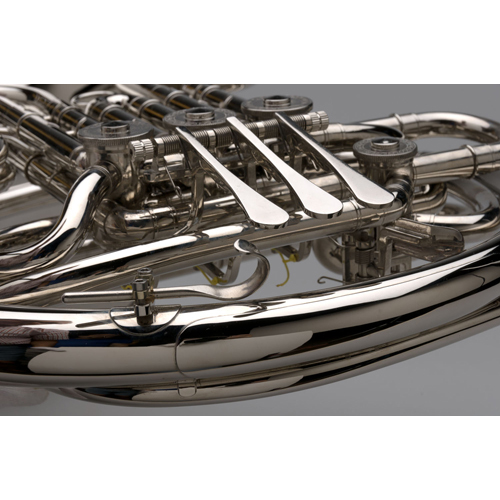 The combination of a solid high register, robust projection, and rapid attack of the Bb horn with the rich, tender timbre of the F horn make this double horn ideal for most any playing situations. 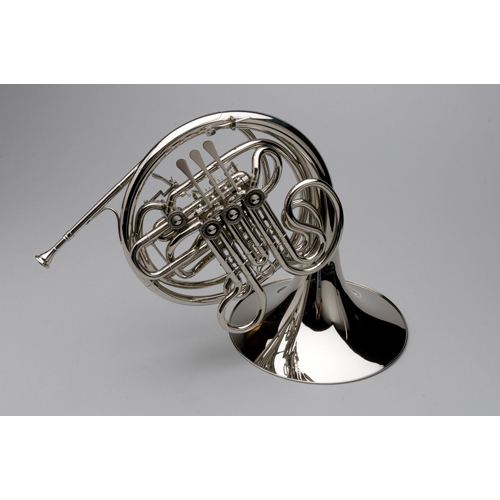 It is handmade in Nickel Silver, thus maintaining the tradition of the American horn sound. A secure String Linkage is hand applied as well. 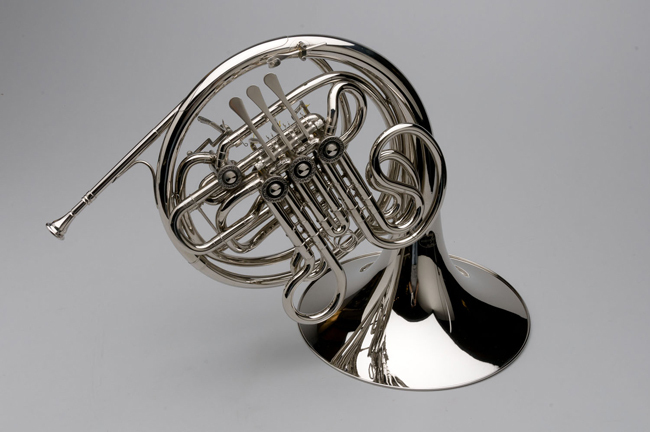 The large throat 12 ¼-inch Hand Annealed Bell is also made of Nickel Silver. 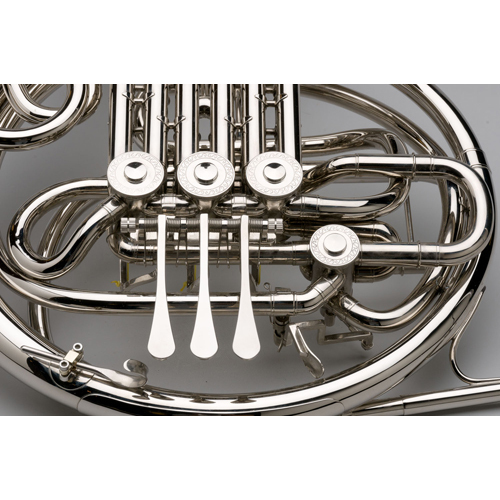 The bore size is .468, and is fashioned with a customized Kruspe style wrap, which is the basis of modern large bell horns. 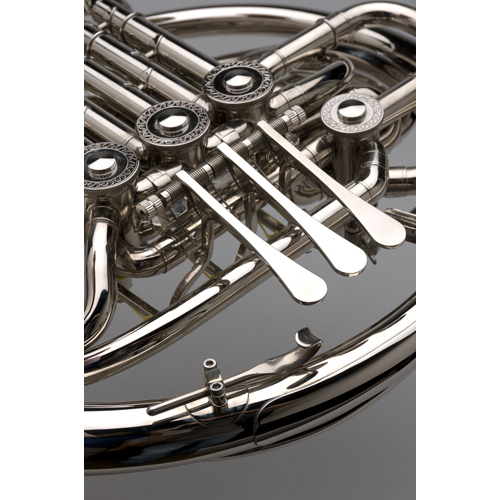 The Engraved 4 Rotary valves and slides are hand-lapped and have extremely smooth action. The cyclical bore provides a cylindrical tubing assembly in combination with a conical mouthpipe and bell system. 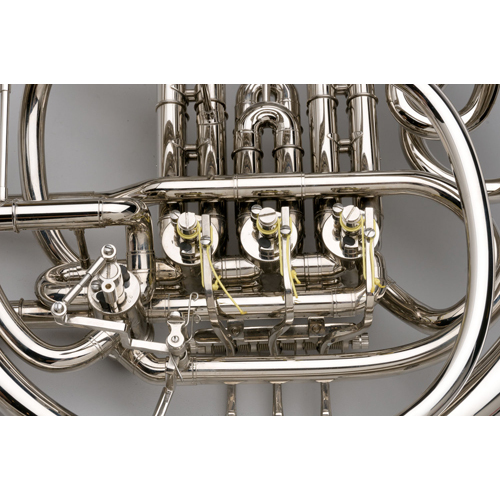 This allows for consistent airflow throughout the Horn. 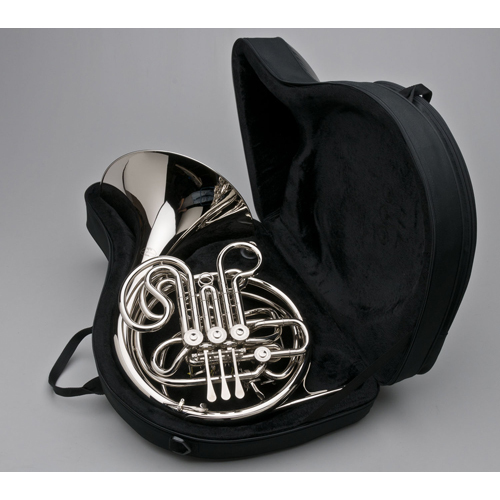 The Tempest Double Horn comes in a custom hard case, with mouthpiece and has a 5-year warranty. .